We were blessed this week in La Vergne to host the Carry the Load walkers traveling 1,700 miles from West Point, New York to Dallas, Texas in 27 days. The courageous group of veterans passed all the way through Rutherford County, walking in Murfreesboro and Smyrna before coming into LaVergne. 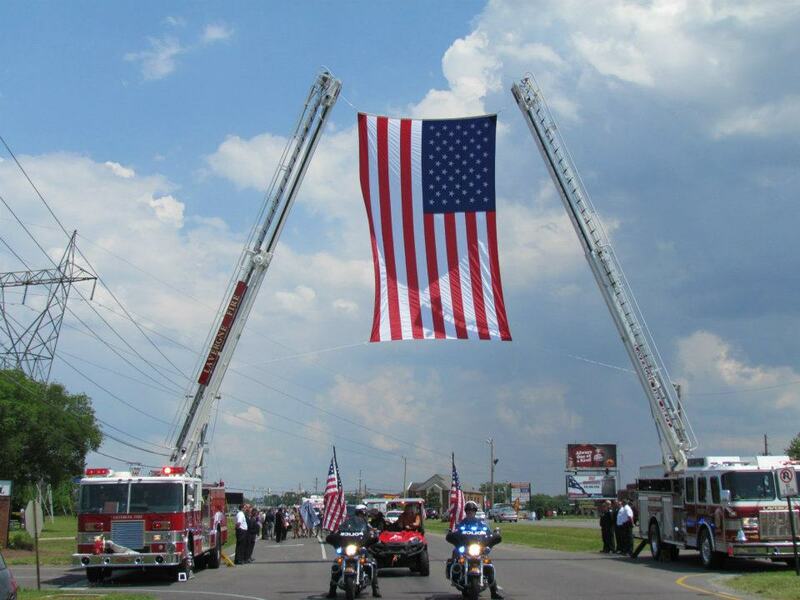 La Vergne residents and businesses rolled out the red carpet for the walkers who included retired Navy Seals, the mayor, police department officers and workers who served in the military, and friends of people currently serving. The city came to a standstill for a few moments on Thursday – stopped to acknowledge the valor and sacrifice made by so many who fought for the freedoms that we all enjoy. To see our firefighters stand at attention under the flag while police escorted this noble group was nothing short of magnificent. It is at these times that pride in my community makes my heart swell. On the city facebook page, this comment was made, “We are receiving calls today at City Hall from other municipalities asking for advice on how they can also honor this dedicated group of veterans.” That other towns are calling La Vergne about how to honor our veterans is stunning. I felt great pride in my community this week. Civic pride is not a new concept, but it is one worth remembering here in La Vergne. As neighbors and fellow citizens we should take to heart that it takes a community to make this a great place to live. It will take a community to restore our reputation. And it takes each and every one of us to stand arm in arm as a community to defend our honor. Let’s be honest. People love taking pot-shots at La Vergne. When our tax rate increased by 50 cents, our city leaders were pummeled by the media, by the internet, by our neighbors, and by our friends. Now that Nashville may be going up by 53 cents and Smyrna and Rutherford County are considering an increase (don’t be misled by reports otherwise, they will go up within the next couple of years), we hear crickets. The media has treated these other increases with kid-gloves. In fact, favorable editorials have been written about the efforts of one municipality to downsize. You know what? It’s a lot easier to downsize when you have 400 employees than it is for a town with 150 employees. I am not here to say it’s not fair (and it really is not fair, but that’s the hand we’ve been dealt). Instead I am here to remind you that despite the bitterness that apparently runs deep in some people, La Vergne is well on the road to recovery. The crime rate is down, infrastructure is finally being repaired, there are fantastic events that build our community. This really is a pretty darn good place to live. However when our own neighbors go out of their way to encourage people to not move here in public forums and then bitterly complain that they can’t sell their homes in their next breath, you have to kinda scratch your head. Cause and effect, my friends, cause and effect. Light bulb: Your own words are preventing people from wanting to move here. You are hurting the home values of your neighbors, of your community. It is time to defend our honor, La Vergne, to defend it against hatred and belittlement. Now mind you, there is nothing wrong with honest and vigorous debate. Discussion about issues and concerns is fantastic. It is our civic duty to be informed about what is going on in the community. But don’t cut off your nose to spite your face because if you do that, you deserve what you get. Open thread!! What’s on your mind dear neighbors?